Amazon announced their latest device this week called the Echo Show – see here for ordering. It is basically a communication device to humans and your home. Control the house, chat/video a friend, view the news, and see the world (I could be their new copy writer). You can even get your doctor to make a visit. I think some people will like the video chat aspect, but others will be bothered by “being on demand” 24/7. Meanwhile, users of that newest Echo, the Echo Show, which has the screen and video feature, will get added services, it seems. One new feature is called “Drop In” — which lets you make a call to someone without them even answering the phone first. Kind of like someone coming to your house and either peeking through the window as they’re knocking, or maybe just walking straight in. 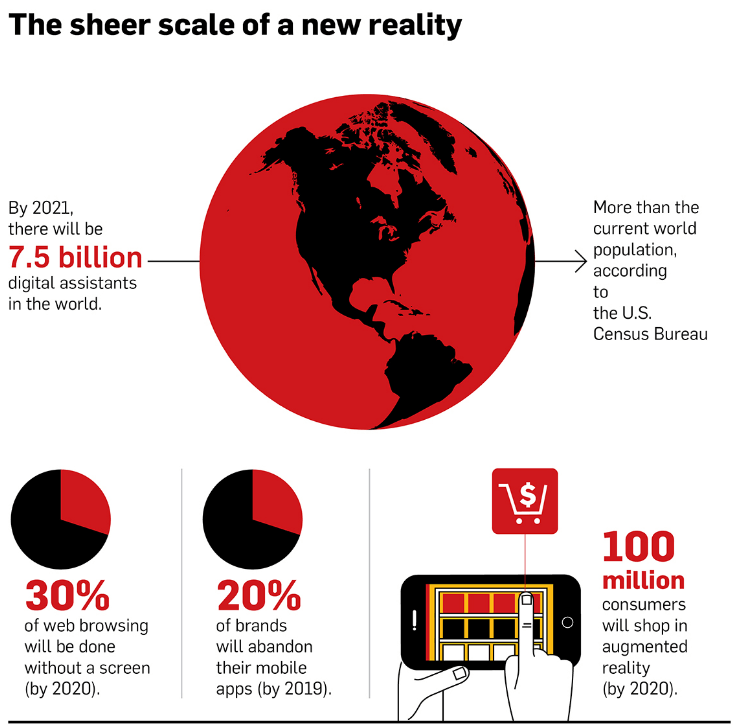 So has the Jetsons future finally come to fruition? (Here is all the info about the Jetsons for the youths of this blog). I think it has really already been here, but Amazon has repackaged technologies we’re already using. But to their credit they are becoming experts at these devices and marketing them. 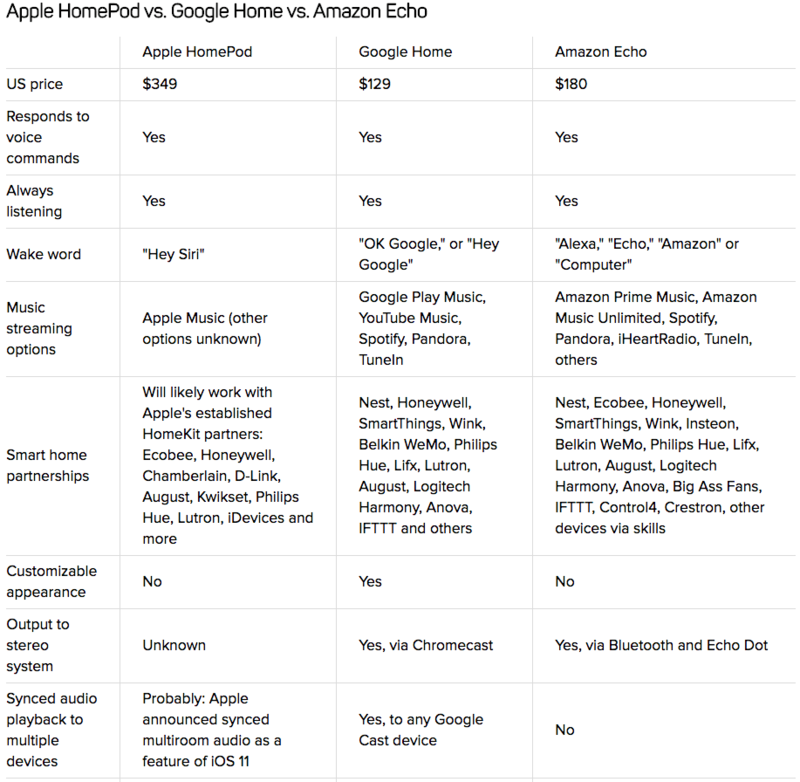 Amazon has quite a line up of devices using Alexa, including the new Echo Show or Echo Look). But it has its uses. For example, you can check in on elderly relatives, or letting your family in another room know it’s time for dinner — or perhaps making sure you kid is really doing homework and not watching YouTube. Just when you thought house phones were dead, Amazon is keeping them alive, except you can do it over Wifi. However, you will need the Alexa App on both ends. Controlling your lights, door locks, appliances, switches and other smart home devices is probably what Alexa is best at doing. You can browse the smart home compatibility devices to see what you can control. Control your lights. You can ask Alexa to turn lights on or off. She’ll even change the color if the lights are color-changing. Change the temperature. “Hey Alexa, set the temperature to 68.” Honeywell, Nest and Ecobee are just a few thermostats that work with Alexa. I just don’t know if voice activated devices will be popular forever. While I think it’s very cool, it is also annoying. And not practical in every situation. By default, Alexa plays music through Amazon Music, but if you use Spotify, you can change this setting so that Alexa uses Spotify as the default player. Here’s how. Again this is a technology that has been around, but somehow having this Amazon device as a the centerpiece, it seems natural to invite your doctor into the house. One of the telemedicine companies doing this now is MeDoc. At the end of the day, Im not sure if Im bought into this eco-system from Amazon. If you’re a Prime member, it may be a no brainer, it connects the Amazon world. But I think there still a few more bugs to iron out, mainly that it needs to work outside the Amazon eco-system. Rumor has it that Apple and Microsoft have similar products to unroll, so we’ll see who can do it better. Echo Look can be asked to take full-length photos of you and can record videos of you turning or walking so you can see how you look from angles that you can’t normally see. It also integrates an app called Style Check that will compare the two different outfits for you and let you know which is more flattering. Only artificial intelligence knows best. Of course all this leads to Amazon growing its fashion retail. Your information will be stored and the store will recommend outfits that suit your style. This whole concept has a lot of legs for retailers. Basically anything you do could be watched by the look and make recommendations – cooking, exercise, presentation skills, yard work and maybe even get your own therapist. Amazon continues to be the leader in e-commerce and has been able to balance the tolerance people will allow a company to have their personal information. This is yet one more dataset of information that will be stored by Amazon. Hopefully its all for good and won’t be misused. Full-length photos and short videos allow you to see a 360-degree view of your outfit. The app can create a personal lookbook, where you can browse your outfits, and blur out the background to make your outfits pop. The Echo Look is available by invite only for $199.99. You can request one here. Silicon Valley real estate is on fire again. 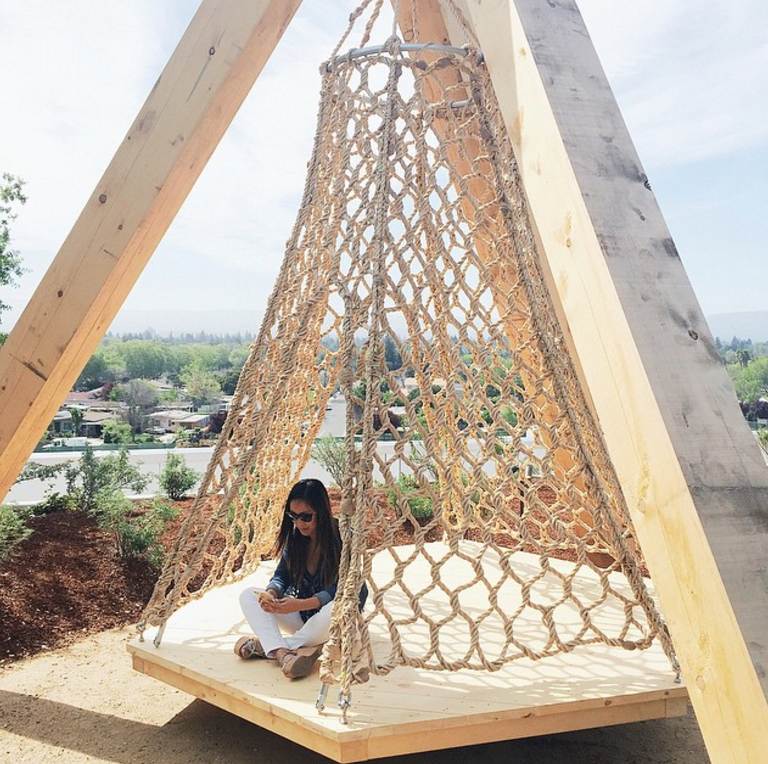 Tech companies are reinventing themselves through architecture. While the Apple spaceship has caught the eye of everyone recently, many other tech companies are setting up new digs for their headquarters too. Google, not to be outdone by Apple, is building a new headquarters in Mountain View, as well as Nividia, Google West, and Facebook which was just completed. Check out the new Silicon Valley. The whole project is a part of Mountain View’s North Bayshore Precise Plan — an environmentally-focused effort to revitalize the underdeveloped area along Highway 101. The final campus will be nearly 600,000 square feet. There will be 45,000 square feet of interior landscaping and nearly 20,000 square feet of public walkways. 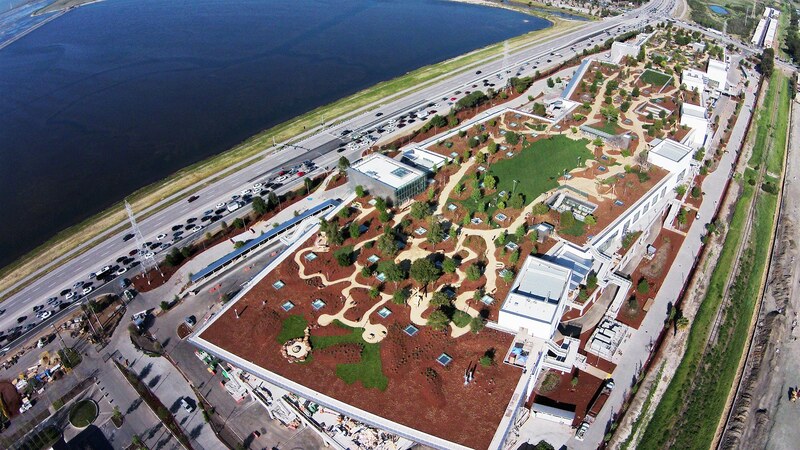 Incorporating designers and architects from New York, London, and Santa Monica, the campus is intended to have fully developed indoor and outdoor spaces that incorporate “native habitats and vegetation.” What’s being called a “Green Loop” will run through the campus, pathways that will snake through parks lined with cafes and shops. Google is designing this section with the public in mind — a sort of National Mall to its Washington Monument. With Facebook recently topping 10,000 employees, growing its ranks 48 percent in the past year, CEO Mark Zuckerberg needed a new building. In March, Facebook opened the doors on the new space, which Zuckerberg partnered on with Frank Gehry—and it opened the doors to CNBC’s cameras for the first time. Nvidia, a graphics chipmaker, has put grand plans for a Gensler-designed facility across from their current Headquarters on hold for an undetermined period of time. If built, the triagular-shaped structures will yield 1M square feet of office space, and bring bold architecture to cookie-cutter Santa Clara. Google has pushed back plans to build a massive new “Bay View” campus on the former site of the NASA-Ames research center in Mountain View. The project is now scheduled to be built in three phases, with construction wrapping up by 2022. The new buildings will house between 3,500 and 5,000 employees, and will feature stunning views of the Bay and surrounding wetlands. 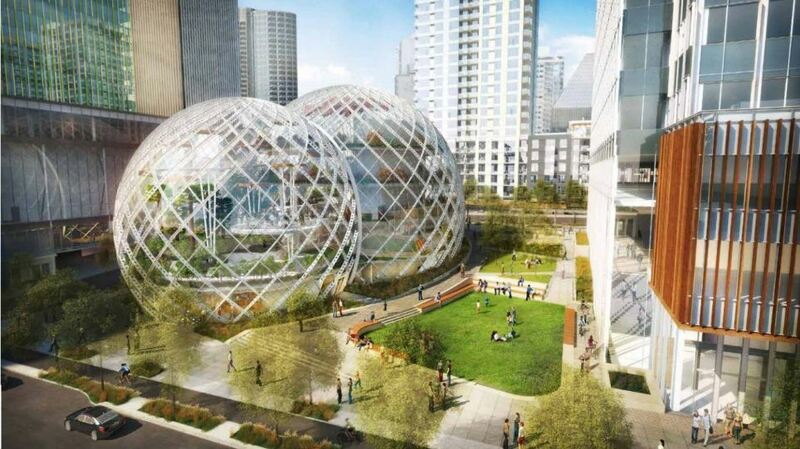 Amazon.com this week revealed plans for three verdant bubbles in downtown Seattle, joining Apple’s circular “spaceship,” Facebook’s Frank Gehry-designed open-office complex and a new Googleplex on the list of planned trophy offices. This is being built in Seattle but check out this design.